Block #6 For Veronica M.
I am dubbing this block “Conflict Bird” because it was a pain in the rear to make. At first I blamed the fabric, it’s not sticking to the foundation paper, it’s too floppy… But later I realized that the problem was me. Let’s just say I didn’t bring my A game to this one. 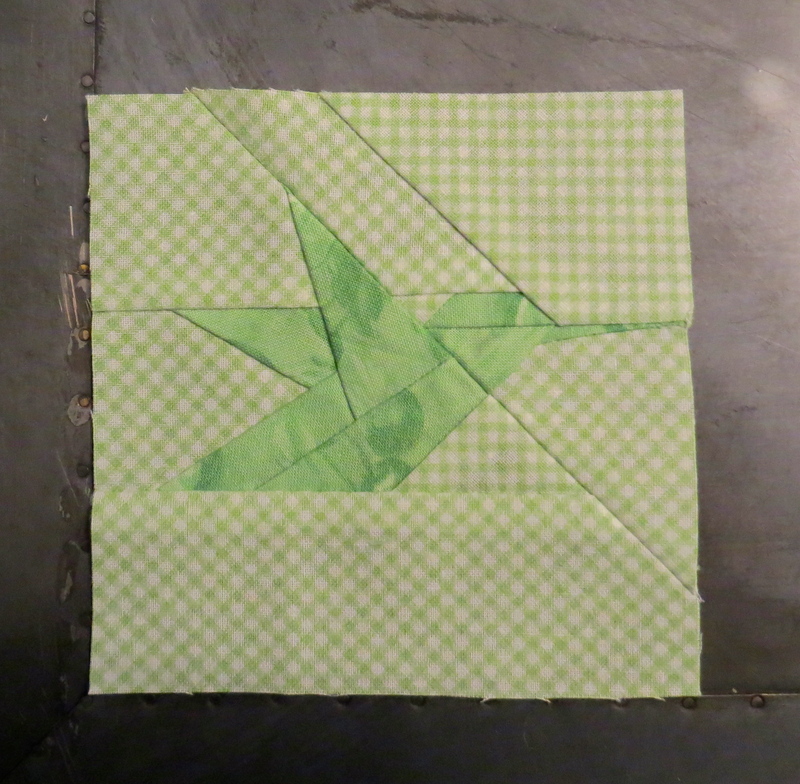 I have made 9 of these blocks so far and I made more mistakes on this one than I have made on all of them put together. And with a normal block this would be annoying, but because I was foundation piecing, the stitch length was so small I nearly went blind ripping them out. The making of this bird mirrored my day at work: full of stress and frustration. Luckily, like these birds, not every day is like that. I dedicate this Conflict bird to Veronica because she is with me in the trenches everyday. Together we will continue to “fight the good fight”. PM’s UNITE! !